I decided on the way to work one morning that I was going to make Dave a beanie...lucky Dave! 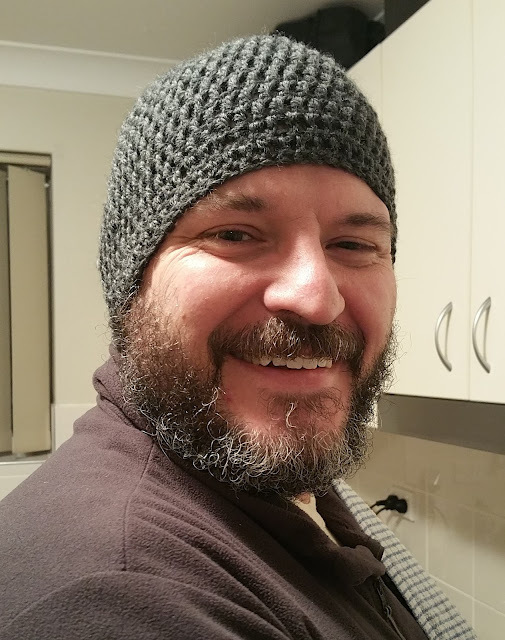 I was just looking for a small project to take on that I could do on the commute to/from work each day and a beanie is something that I think can be relatively easy. Sadly he said a firm NO to me adding a pom pom to it. 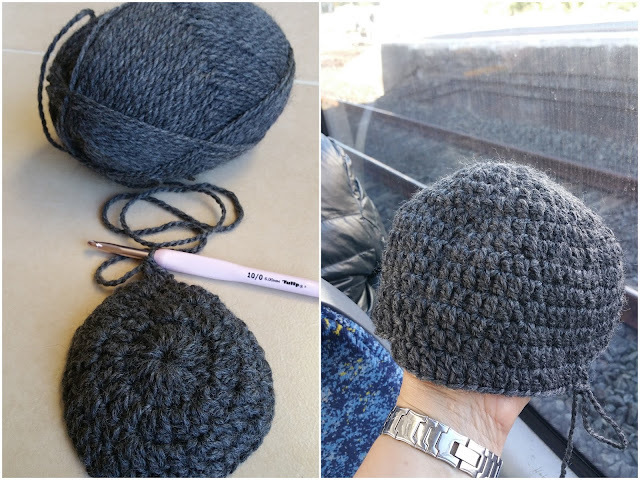 I found the pattern on Ravelry after searching for super-dooper easy crochet beanies for beginners (it also has a youTube video which helped a LOT). The wool is from The Granny Square in Newtown - of course! I like going there as I can bring along the pattern and they'll help me pick the correct wool and hook. 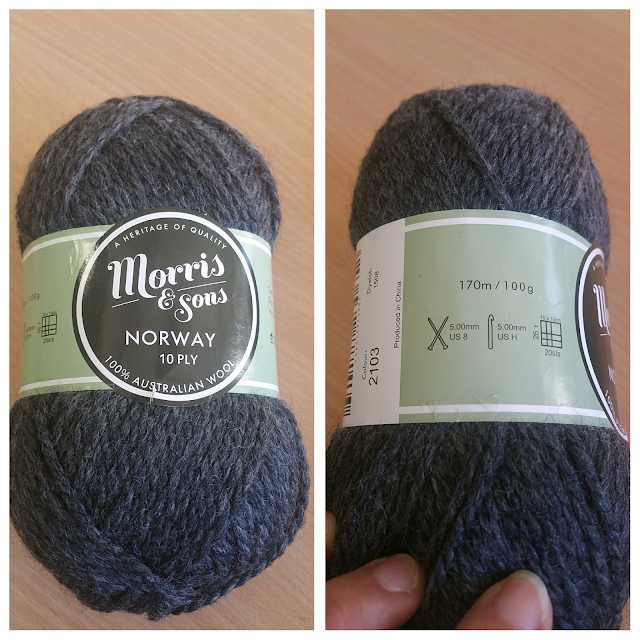 I find wool so confusing (DK, worsted, WTF) so getting help is wondeful! 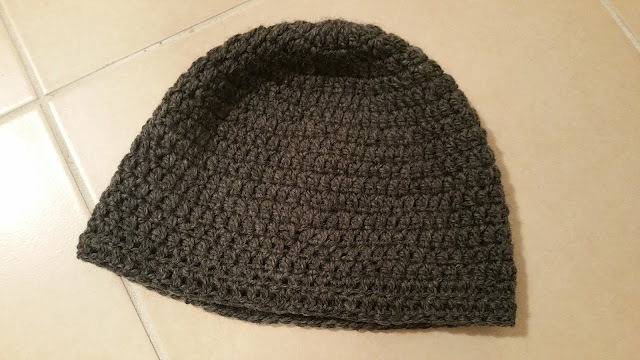 I had SO much trouble getting this beanie started -- I thought I'd be off to a good start and then lose count of the stitches somewhere along the way. I must have started about six times but I finally go there in the end and made good progress over a few weeks. And here is the finished product on Dave...I think he likes it. I mean, he's worn it without me forcing him to wear it which is nice. I don't think it looks homemade in a bad way...it would just look better with a pom pom on top! I have a bit of wool left over from this project - enough to make a pom pom infact! And I've bought myself another ball of this wool so will make a beanie for myself.